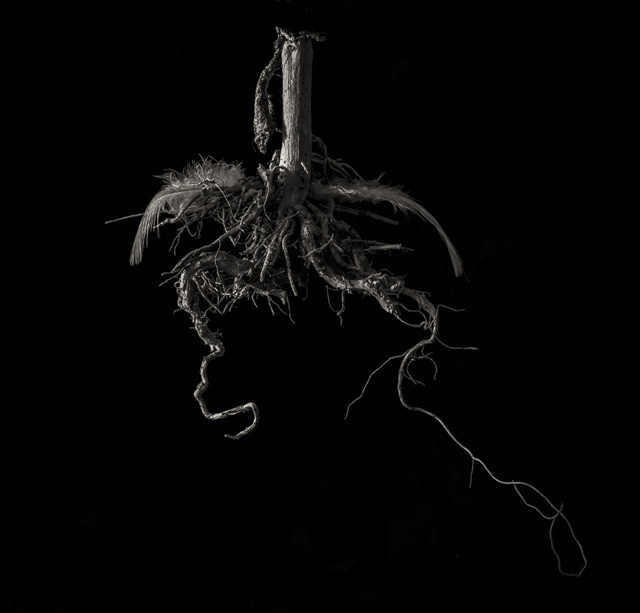 For the past several months I have been working on a conceptual series called Rooted. The first kernel of inspiration came to me over a very long and cold winter and I began to visualize what this series would be. 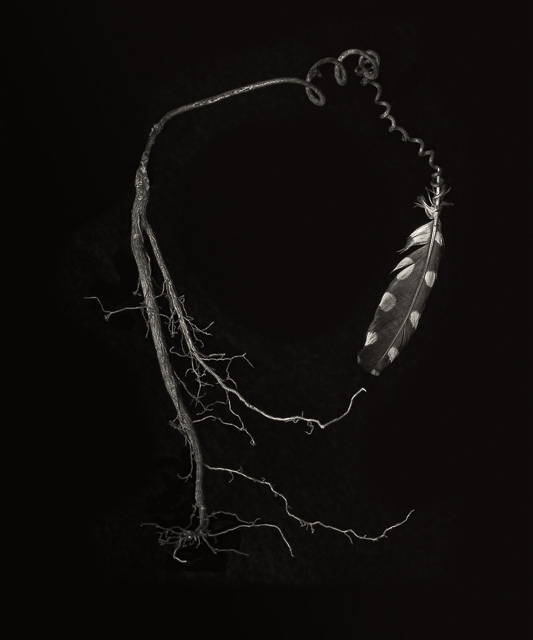 I knew that I wanted to work with roots and explore their meanings literally, visually and abstractly. I thought about family roots, geographic roots, the germination of inspiration, how one’s rootedness can be a positive or negative. I have tried to examine some of these themes using found roots and there aspects of nature. 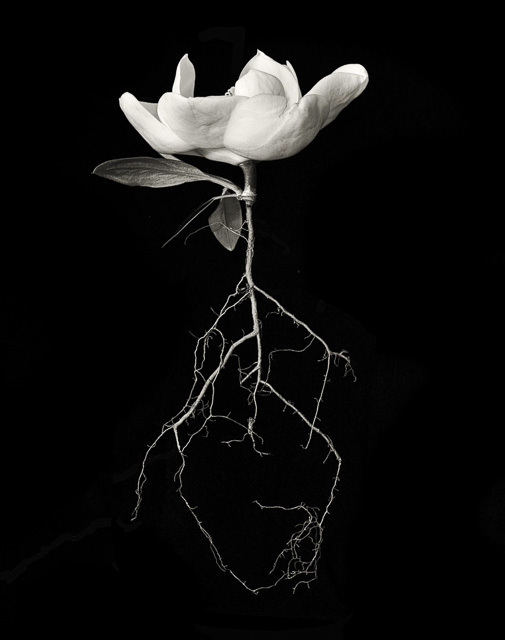 Above is Southern Roots, using a quintessential piece of the Southern landscape, the magnolia. The Root of All Dreams, above, is the centerpiece of the series, depiction the winding path or dreams can take us one. I like to think of the feather as the feather Dumbo carried which lead him to believe he could fly. He later realized he had the power to fly all by himself. This image is to remind us all that sometimes we have to just take a leap of faith. In Nurture, above, I am exploring how being supported by family allows us to dream big and reach or potential. You can see the remaining images in this series at sandyburrphotography.com. contributed by Sandy Burr. All images © sandy burr photography. 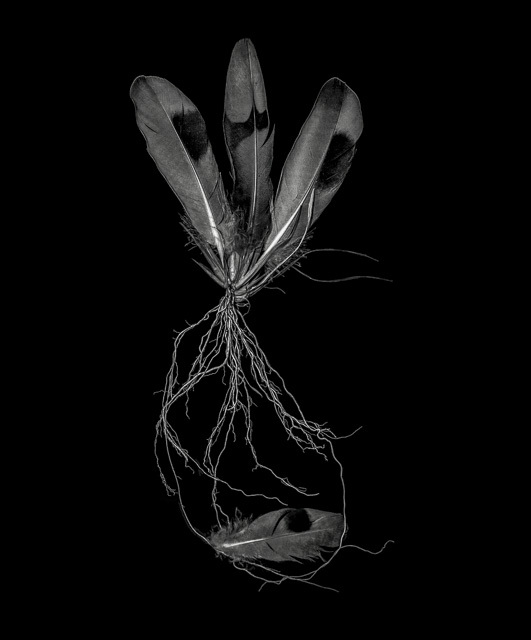 This entry was posted in Sandy Burr and tagged black and white, conceptual, feathers, magnolia, rooted, roots on September 13, 2015 by sandyburr05. Yes, to the many ‘roots’ that bring LIFE to the one presence! Another reminder to give gratitude for ALL the things that impact who we are. I noted in the ‘leap of faith’ photo that two faces draw my attention. One, a silhouette formed by the roots, looking left, smiling and with two teeth showing. The second at the point of that silhouette’s nose, another complete face. Whether we ‘see’ it our not we are impacted by so much that our lives touch. Thank you for enriching my gratitude for roots!